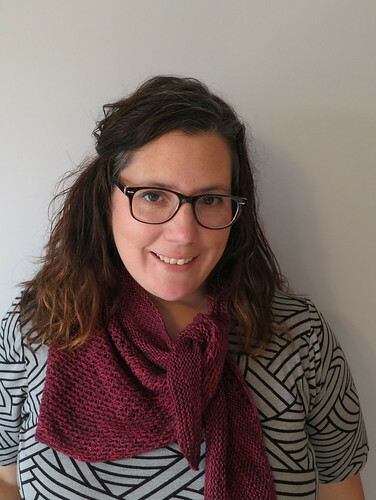 It's time for the next installment in the Sock-Yarn Shawls II Blog Series. It's Zuzu! 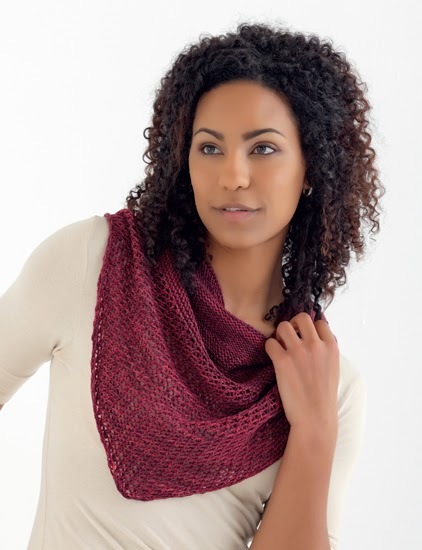 This shawl is a triangle, but knit from the bottom-up. Once you work a few set-up rows, you repeat one row over and over, creating some interesting texture with the openwork pattern. Now, that looks seriously squishable (and trust me, it is). It's followed up with a little increasing in the garter stitch section, then a few short rows at the end. Easy! I designed this one on the fly while Alex and I were out of town last year. I won't go into all the details, but we were on a little weekend getaway, Alex got a wee bit (ok...a lot) sick and we ended up staying at the hospital for a few days. I didn't have a lot of knitting with me on the trip, but I did have one extra skein of sock yarn in my suitcase (like you're surprised by that fact). Anyway, the husband's completely fine and perfectly back to normal (well, normal for Alex...haha) now and the design has kind of a crazy story. The original design was good, but it needed a little tweaking, so I made the bottom openwork portion larger and added the short rows at the top. Cathy then reknit the sample out of the wonderful Shalimar Breathless. Yum. I also took a photo of myself wearing this one. My new thing is I kind of like tying the shawl on the side. 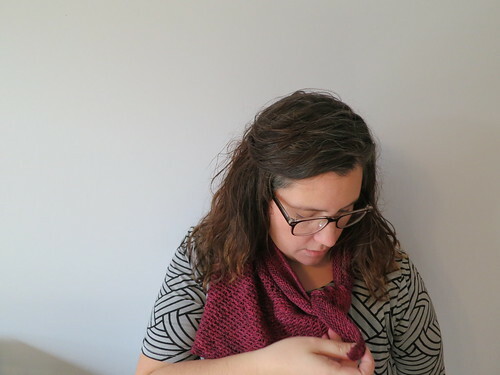 I think it's cute and a good way to wear these little one-skein shawls. Oh and here is a photo out-take. Because when you are home alone all day and need photos for the blog, you have to set the little timer on your digital camera. Stay tuned for next week where I'll be talking about Waveland and Cinder. 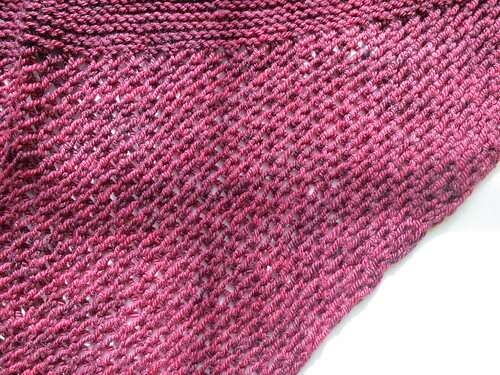 I also have a little tutorial for the decorative bind off used at the end of the Cinder shawl. Want to read more blog posts from this series? Click here.